El Chapo wanted to make movie about his life. Drug kingpin Joaquín “El Chapo” Guzmán is escorted into a helicopter at Mexico City’s airport on Jan. 8, 2016 following his recapture during an intense military operation in Los Mochis, in Mexico’s state of Sinaloa. In the end, his narcissism did him in. Cartel boss Joaquín “El Chapo” Guzmán—the world’s most notorious drug kingpin—was proud of what he had accomplished in his life and wanted the world to know his story. It was this desire to share his tale of going from poverty to one of the world’s richest men that helped authorities locate the head of the Sinaloa drug cartel at a dingy roadside motel, six months after his second escape from prison. An “important element in determining El Chapo’s whereabouts was finding out that he wanted to film an autobiographical film,” Mexico’s Attorney General Arely Gómez González said at a news conference. “He established communication with actresses and producers, which became a new line of investigation.” The names of the actresses and producers were not revealed. [Guzmán] had started the process of making a biopic on a life in which he went from rags to riches, from dropping out of school and selling oranges in the street to landing on the Forbes list of billionaires. It was as if he wanted his own version of Narcos, the popular Netflix series on the life of slain Colombian kingpin Pablo Escobar—except while alive and able to influence the casting and script. That was hardly the only lead though. From the time he escaped from prison through a tunnel six months ago, authorities began to examine any possible leads in the drug kingpin’s network of accomplices. “They arrested corrupt prison guards and officials, relatives who handed out bribes and oversaw tunnel construction, and his trusted pilots who flew him to safety in his home state of Sinaloa,” reports the Washington Post. Authorities almost had him in October but decided not to pursue him because he was accompanied by two women and a young girl. 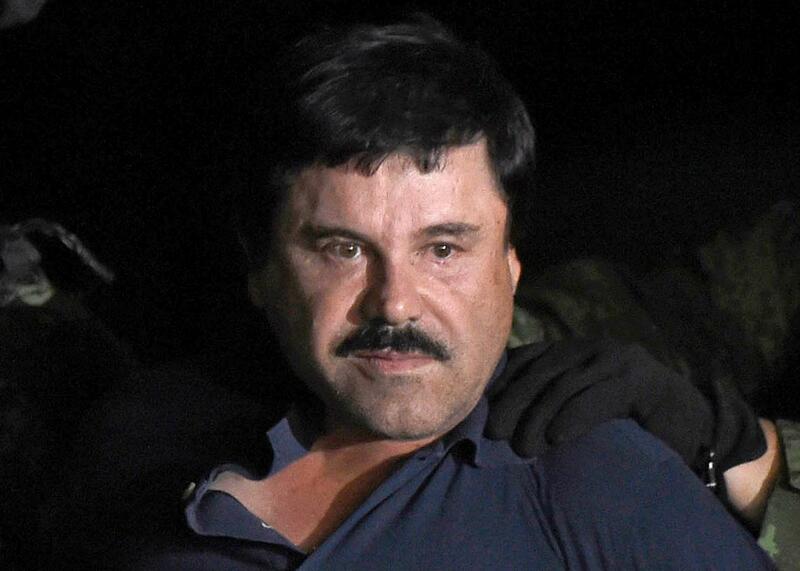 Now, “El Chapo” is back to the same maximum-security prison from which he escaped in July. And now the big question is whether Mexico’s administration will decide to extradite him to the United States. So far, officials have avoided talking about the issue, but even if they do decide to send him north, “the process likely would not be fast,” reports the Associated Press. Analysts quickly said that extraditing Guzmán was the only way to make sure his capture would have an effect on the drug trade. “If Guzmán stays in Mexico, then the same thing will happen as after his last arrest: absolutely nothing,” professor Martín Gabriel Barrón Cruz, a researcher at the National Institute of Prison Studies (Inacipe), tells the Guardian.